Traffic Tour is a new endless arcade racing game that takes you to another level of smooth driving simulations and high graphic quality. 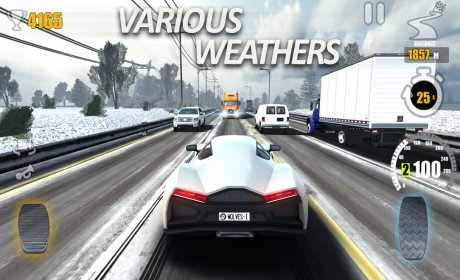 Drive your car in the endless highway roads, overtake the traffic in a challenging career missions, collect blueprints, Unlock new cars, upgrade them, and challenge your friends in a real-time racing with Different camera modes to give you a unique driving experience. – Choose your best car and challenge other players in a real-time racing. – Join 100 different online missions and get prizes by beating your opponents. – Send requests and Challenge your friends. – No fuel play for no limit time. – Different camera modes: first person, third person, driver camera and more. 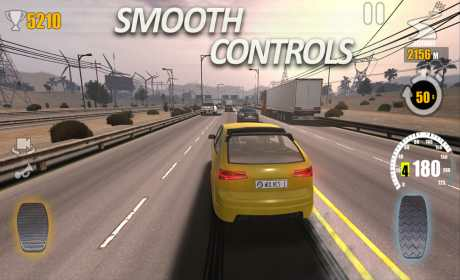 – Multiple controls mode: tilt, Buttons and steering wheel. – 5 Game play modes: Multiplayer, Endless, Career, Time Trial, Free Run. – 100 missions in career mode. – 5 realistic environments: Highway, City, Desert, Rain and snow with different daytime. – 20 different cars with the ability to customize colors and wheels. – Unlock cars by collecting or buying blueprints. – Upgrade cars features: Speed, Handling, and Brakes. – Variety of traffic vehicles: Trucks, Buses, Vans, Pickups, SUVs. – Multiplayer racing, challenging friends and player from all around the world. – Ability to use the nitrous feature in multiplayer mode. – Smooth and realistic driving. – Unlock new cars by collecting more Blueprints in endless mode. 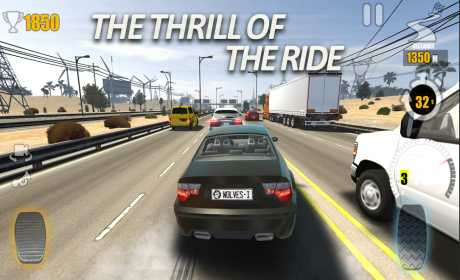 – When driving over 100 km/h, try to overtake traffic cars to get bonus scores and cash. – Get extra cash when playing evening and night in endless mode. – Driving in opposite direction in two-way gives extra score and cash. – Use nitrous in the right time in multiplayer mode to get the most out of it. – Sharing your results with friends to get extra cash.